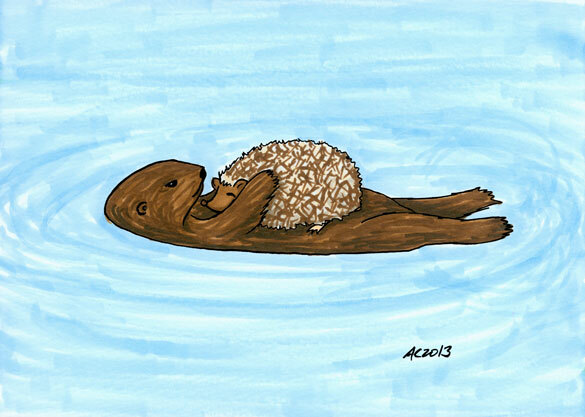 Another week, another piece of adorable otter/hedgehog art. I imagine this is the missing bit between the first two pieces, after the hedgehog got tired of swimming but before they dried off and curled up in their scarves to nap. I imagine this because I’m a big dorky fangirl, and I enjoy it. Floating Nap, 7″x5″ pen & ink and Copic markers on paper, nfs (commission).